Decebal Gold Book: To really understand the origins of the devil "where is the devil all this time?" Welcome to the best cultural & educational media on the web. To really understand the origins of the devil "where is the devil all this time?" To really understand the origins of the devil, one must try to understand the culture of early Sumeria, the land of Mesopotamia. 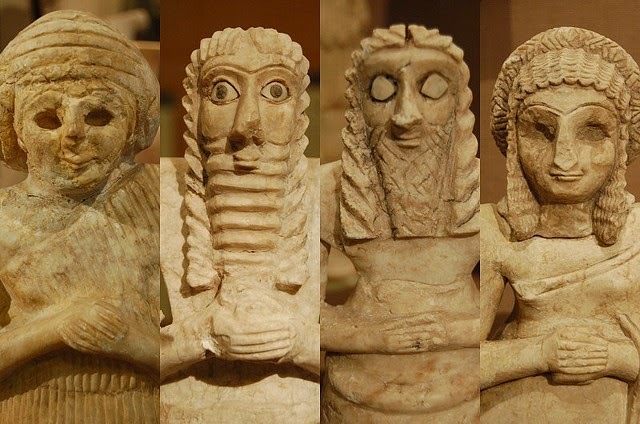 Located in a fertile and well irrigated area between the Tigris and Euphrates Rivers in what is now Iraq, the Sumerian civilization is a real mystery to historians. Sumerians were broad headed people, physically and linguistically different from all surrounding tribes that existed before or after them. They arrive in Mesopotamia almost instantly -- as if from nowhere. What is more perplexing is that their civilization, right from the start, had a government, a highly organized religion, schools that taught mathematics, a system of medicine and highly developed masonry skills. But even more astounding -- the Sumerians could read and write! As far as we can tell, they were the first. Where did they come from? A possible clue is perhaps in one of their earliest myths, which takes place on an island called Tilmun. It is believed by some historians to be the present day Persian Gulf island of Bahrain. They have a myth of the god, Oannes - a half-human, half-fish figure who "came from the firmament to give men culture and learning." The firmament of this era consisted of both oceans and the heavens (Besides the firmament, there was the solid earth and the underworld. ).But the best known of these Sumerian legends is The Epic of Gilgamesh. We know the legend of Gilgamesh by its fragmented remains, found in many different locations. It must have been as popular as the Bible of today in some parts of the world. In its complete form it was written on 12 tablets in Akkadian script and was found in the old Hitite capital known as Boghazkoi. 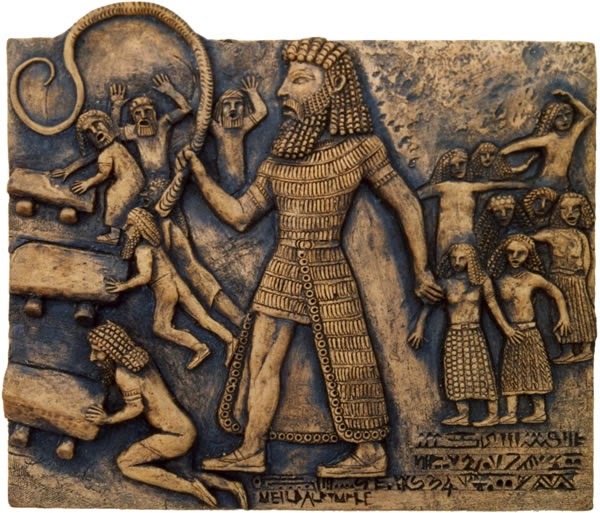 We also know that Gilgamesh was a factual person, as opposed to a legend, because of a related fragment depicting the war of Gilgamesh with the king of Kish. Gilgamesh was king of the Sumerian city of Uruk in the first quarter of the third millennium BC. The legend opens, "sa nabe imuru," or, "he who saw everything..." This phrased is used again, by Greeks, to open the Oddesy of Homer. "Man, being the king, who is as the image of god..." These phrases relate back to the Atra Hasis, where humans are believed to have been "made" by the Nefilim, in the Nefilim's own image. Gilgamesh was described as being two-thirds Nefilim and one-third human. The birthright of such a hybrid humans was being acknowledged in the same manner as in Genesis 6:1-4, "the mighty men of renown...," who were "born of the union of women with the sons of god." The Epic of Gilgamesh focuses on a human character named Enkidu, who is uncivilized and lives, eats and mates with wild animals. He is ultimately tamed and befriended by Gilgamesh. The two become best friends, and they travel to distant lands and have a variety of adventures with friends and foes. The real "meat" of the Epic happens when Enkidu is killed. Gilgamesh is heartbroken. He becomes a man with a mission: to find eternal life. Gilgamesh travels to where he has heard of eternal life -- to what is now Lebanon. He comes to a wide river and can go no further. He stops at a tent to rest and eat. Here he meets the innkeeper, Utnapishtam, who just happens to be very similar to the biblical Noah. The flood account of Utnapishtam is an earlier account -- almost 2000 years earlier -- than Genesis. It is likely that Genesis was based on this earlier account. The chief deity, Anu, is disappointed that the hybrid humans have not progressed very far from their animal origins. He is particularly upset that the humans seem to want to mate all the time. He even is quoted as saying that the noise of their copulations kept him (Anu) awake at night, atop his ziggurat (step pyramid). There is talk among the godhead of what to do with the humans that were created, and some suggestions are considered. For a while, humans are deprived of food, at which point they are said to have resorted to cannibalism. Other extinction methods are tried until finally Anu announces that a "final solution" has been found. 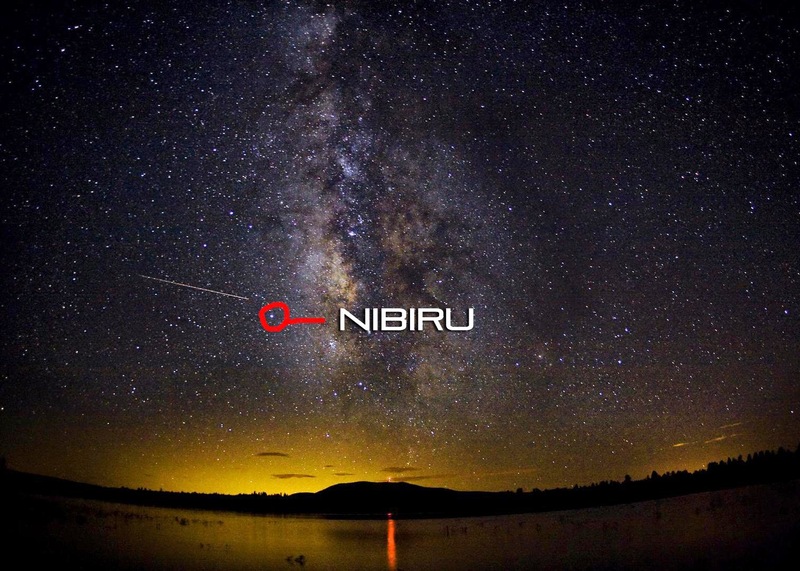 The home planet of the godhead, the Nefilim, is called Nibiru. Anu announces that the next approach of Nibiru to Earth's orbit will take the two planets close enough to cause a massive tidal wave. He proclaims that the humans shall not be warned and, since they live along the coast and in low, fertile area, they will be summarily wiped off the face of the planet. The two sons, Enki and Enlil agree to remain silent. The one who occupies the midst. Enki who has sympathy for some humans, arranges for Utnapishtam to "overhear" him talking aloud from behind a screen of reeds. He says things like, "a smart man would make himself a ship..." And so Utnapishtam is warned and Enki believes he has not violated his promise to Anu. Rather than animals, Utnapishtam was told to bring humans with special skills, like stone masonry and animal husbandry and medicine on to the ship. Ultimately it rains and then floods from huge tidal waves, as predicted, and the ship and its cargo debark near Mt. Ararat in what is now Turkey. Here the story differs significantly from Genesis. The first thing the sea-weary crew do on dry land is "burn" or cook some meat to eat. At this point, while the meat is burning, they are visited by members of the godhead who reward the survivors by telling them something of their origins and making a "pact" with Utnapishtam and his group. Sumerian texts describe telling Utnapishtam that he is capable, by his Nefilim heritage, of abilities that he has never used. They suggest that he be taught how to use these abilities and he is thus initiated into what we would call "priesthood." The promise is made that the abilities must be used for the benefit of mankind only and not for selfish gain. The abilities are each taught in a hierarchy of strength, accompanied by some test of character or control of self. This system of Nefilim awareness is called "dur-an-ki" or the "bond heaven-earth." Gilgamesh listens to this epic and then seeks eternal life in the form of a plant that grows under the sea. He ties heavy stones to his feet and walks the watery depths to retrieve this special plant, only to lose it to a snake while he rests on shore. The snake sheds its skin and moves on and the epic ends. Unlike the Hollywood "big ending" the message of Gilgamesh is undoubtedly in the adventure itself. It is a way of relating the history and legends of the Sumerains into one coherent epic. So what do you make of this so far? Have you long since taken this story for fiction? Well you might well want to do that because the alternatives are equally hard to swallow. If this is merely a legend, how would ancient people "make up" stories of extraterrestrial and other planets, or hybridization? 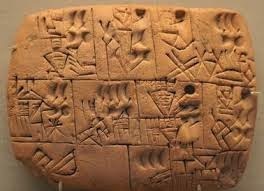 If this was something unique to the Sumerian people, where did they develop this imagination? No prior evidence of Sumerian culture has been found anywhere else on the globe. And still you may ask, "where is the devil all this time?"